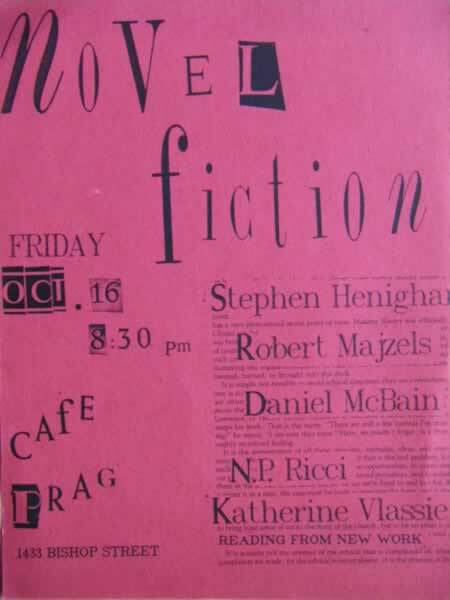 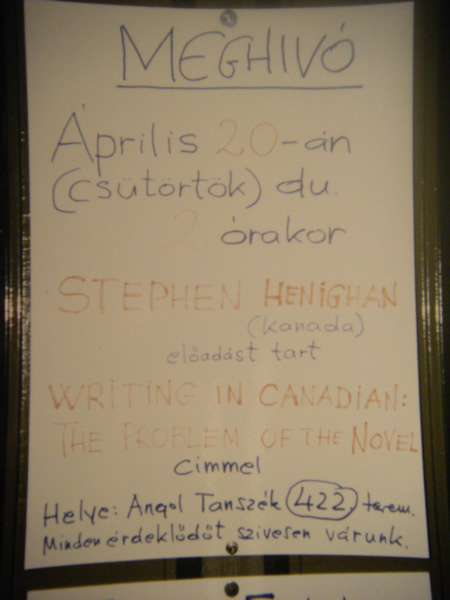 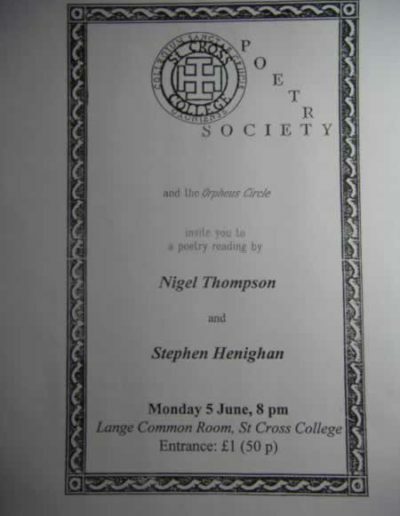 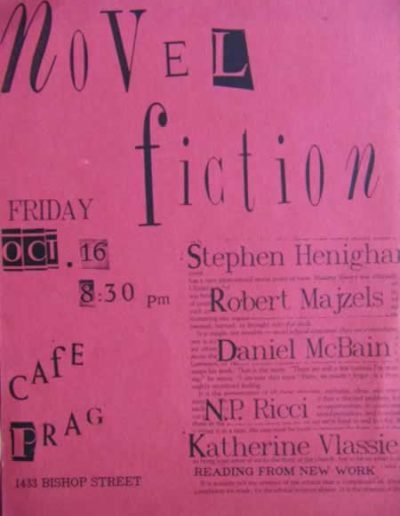 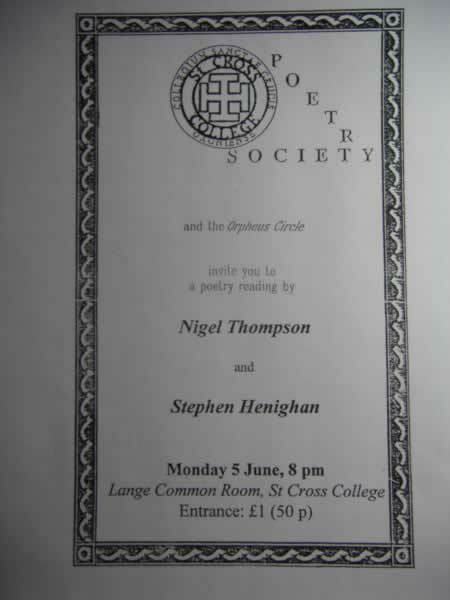 Poster for a reading by the “Novel Fiction” group, Montreal, 1987. 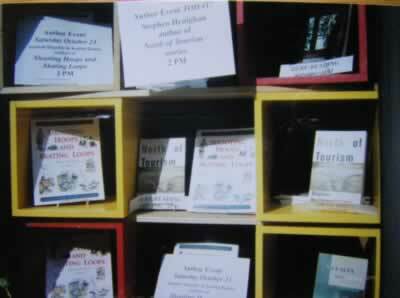 Bookstore window at The Miller’s Tale, Almonte, Ontario, during tour for North of Tourism, 1999. 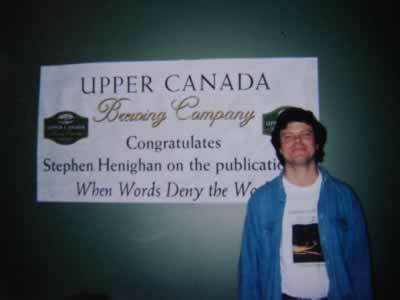 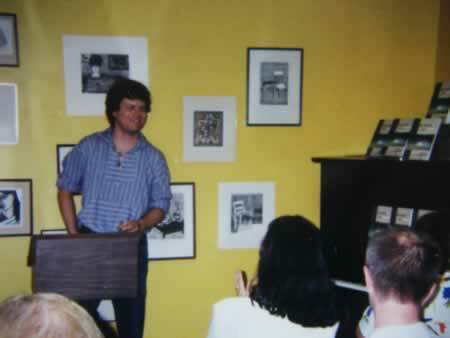 When Words Deny the World launch, The Bookshelf, Guelph, Ontario, 2002. 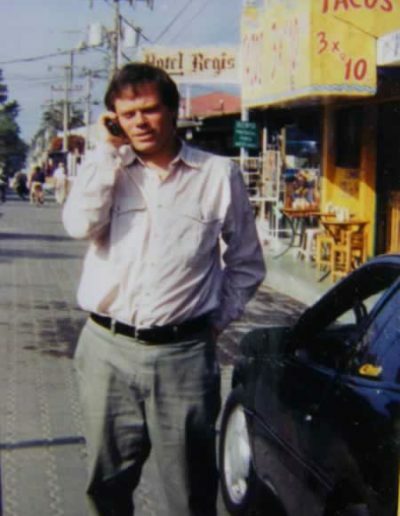 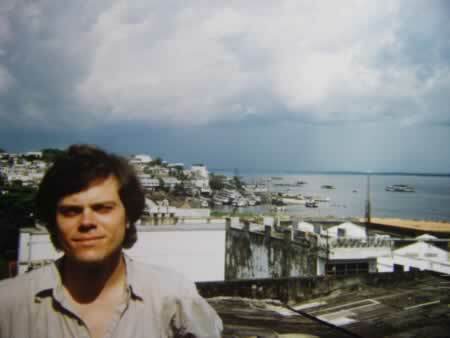 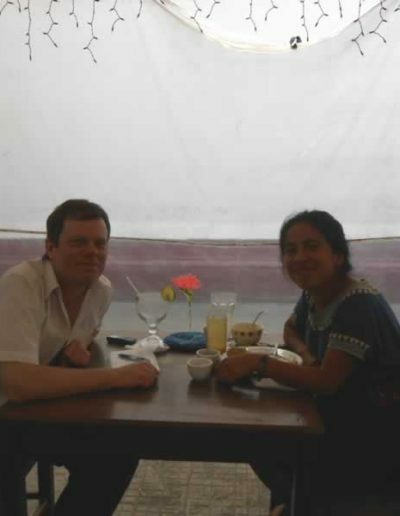 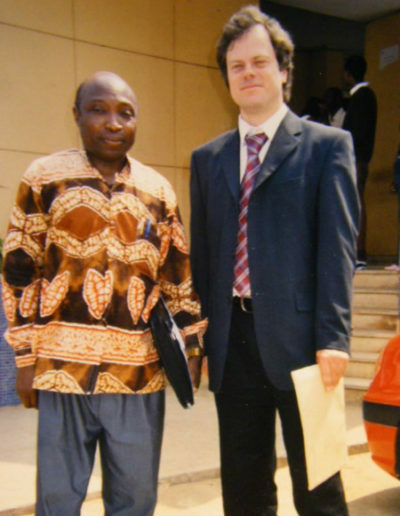 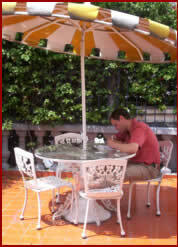 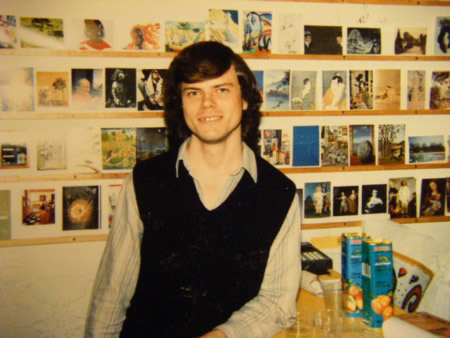 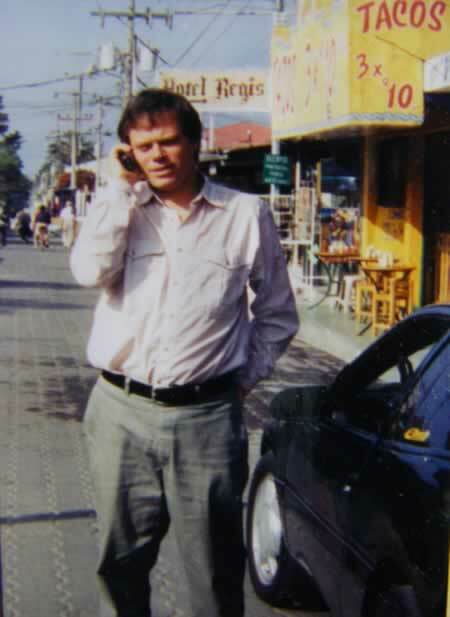 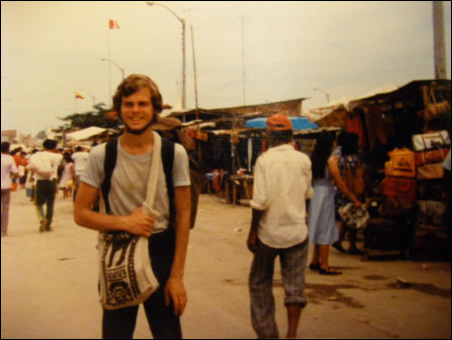 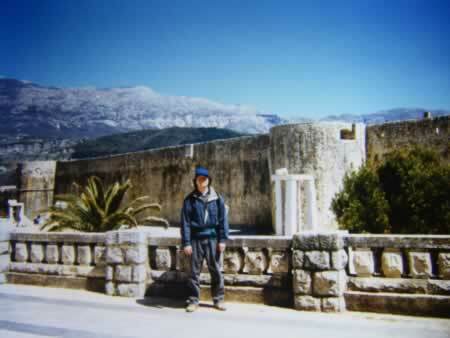 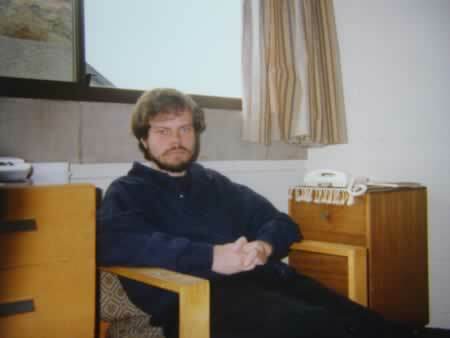 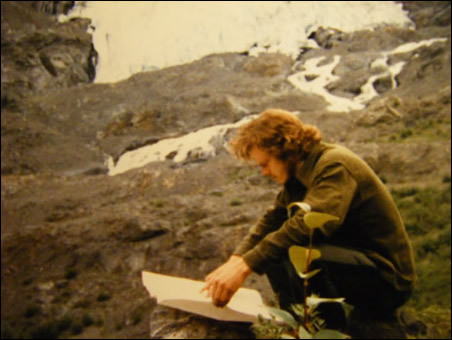 As Co-Director of the University of Guelph/ University of Saskatchewan Latin American Semester in Guatemala, 2003. 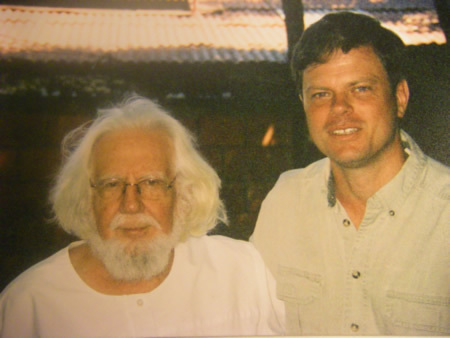 Speaking with Ernesto Cardenal, Managua, 2006. 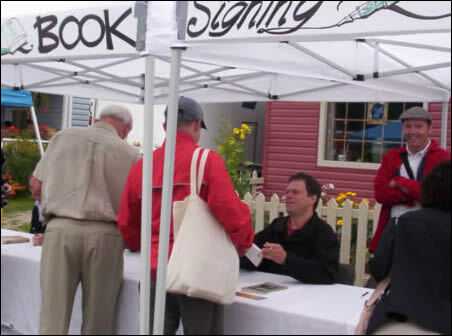 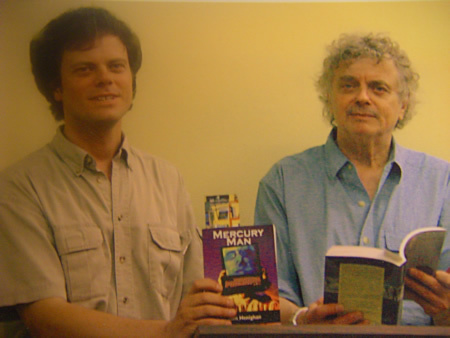 Signing copies of A Grave in the Air at Eden Mills Writers’ Festival, Ontario, 2007. 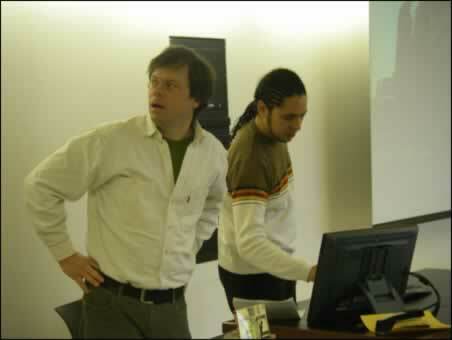 Setting up a presentation with Ondjaki, Brock University, St. Catharines, Ontario, 2008. 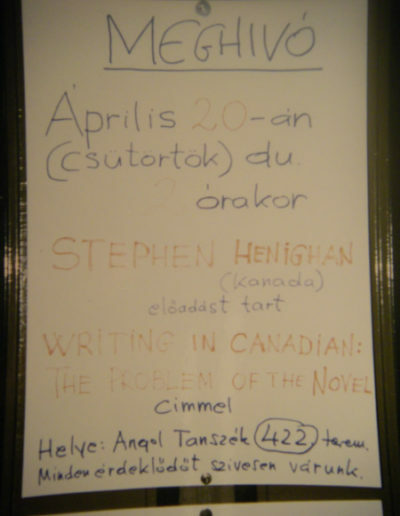 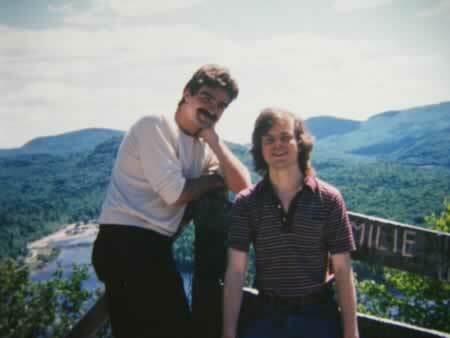 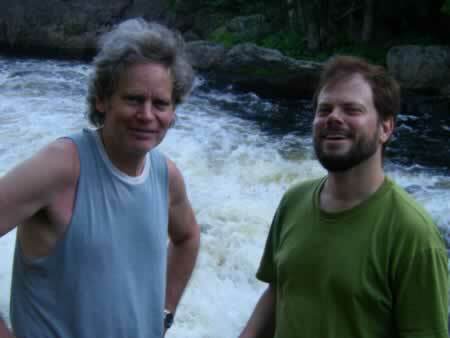 Literary conversation with Jeffrey Moore near Val-Morin, Quebec, 2009. 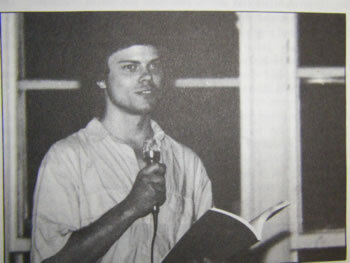 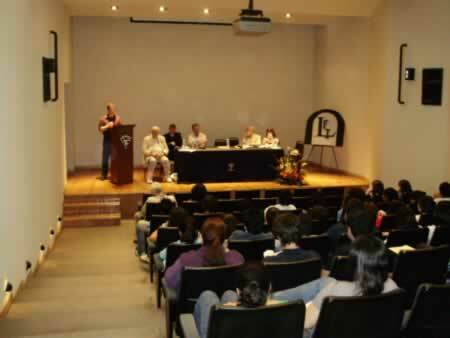 Reading from the Spanish translation of “The Tongue Below,” Linares International Literary Festival, Mexico, 2010. 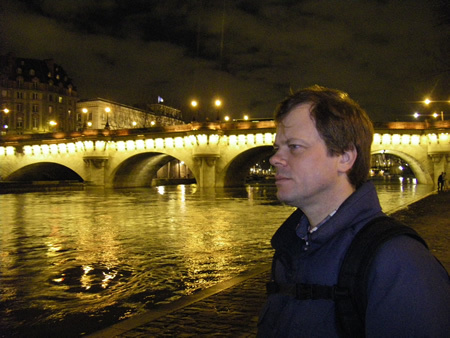 As Coordinator of the 2011 University of Guelph Paris Semester. 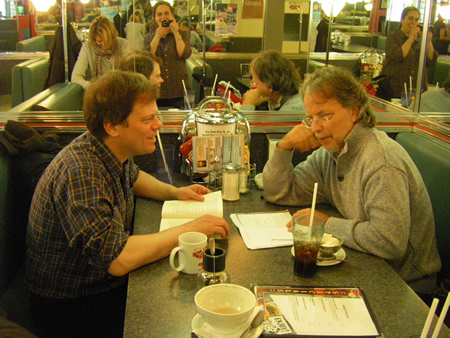 Helping Mia Couto to prepare for his first public reading in English, Ottawa, 2013. 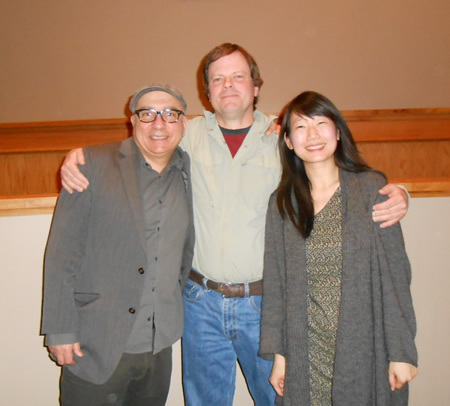 At Colorado College with Rawi Hage and Madeleine Thien, Colorado Springs, 2014. 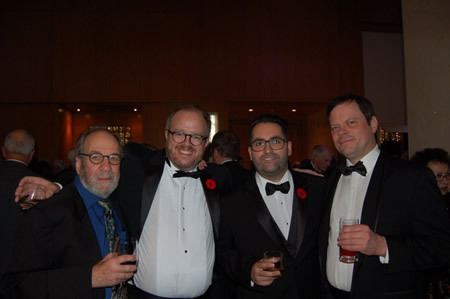 Translator Donald Winkler, Biblioasis publisher Dan Wells, author Samuel Archibald and Stephen, as editor of the Biblioasis International Translation Series , at the 2015 Giller Prize dinner. 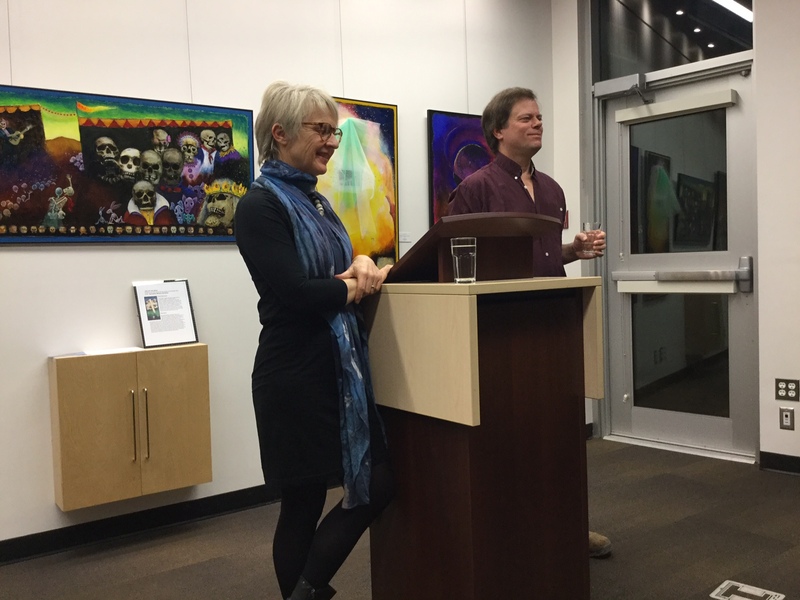 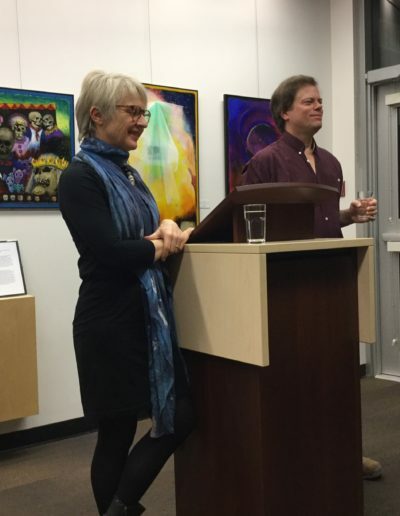 Reading with Kathy Page at Salt Spring Public Library, Salt Spring Island, British Columbia, 2016. 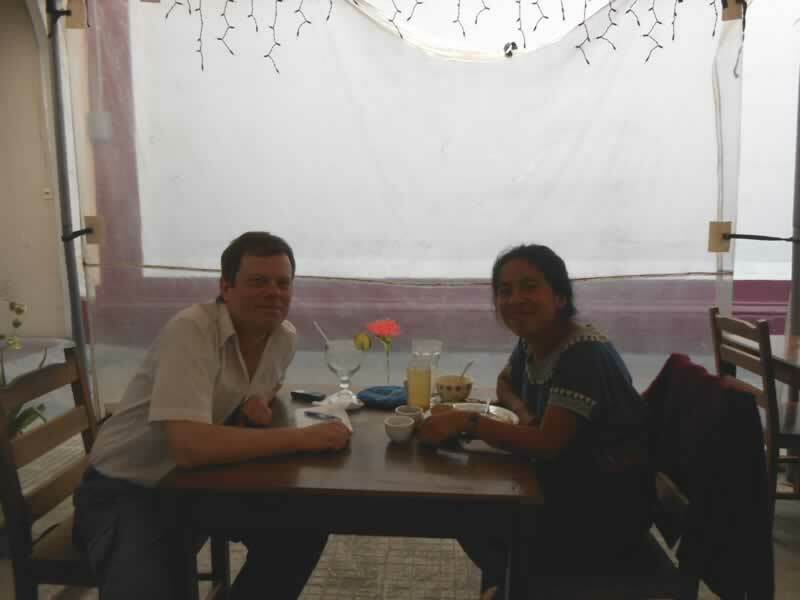 Interviewing the Kaqchiquel-Maya folksinger Sara Curruchich, Guatemala City, 2017.